Gates to the Old Christian Cemetery on Fort Canning Hill. 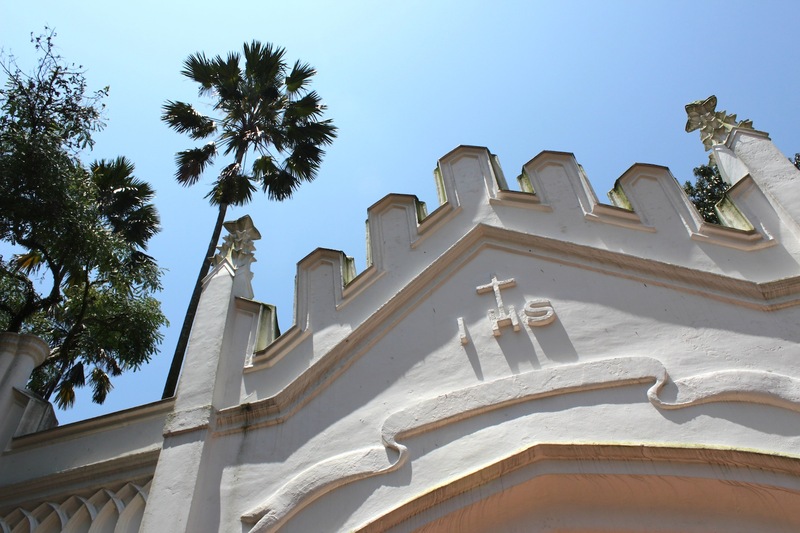 ✑ A stroll around the Singapore River, the Civic District and Fort Canning Hill, taking in the sights of Colonial Singapore. This tiny area has Singapore’s greatest concentration of museums, monuments and historical sites, all immaculately preserved. There’s so much that is historical here, it’s mindboggling. 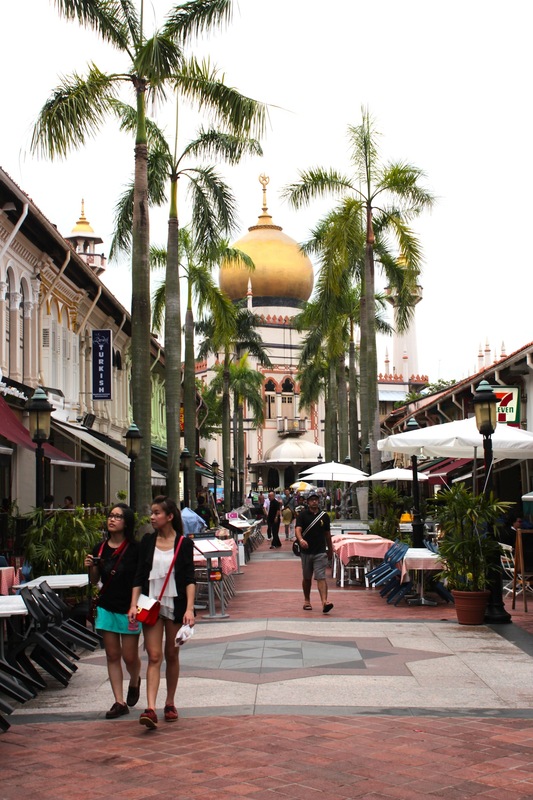 ✑ Visit Singapore’s historic districts – Bras Basah, Chinatown, Kampong Gelam/Arab Street and Little India. 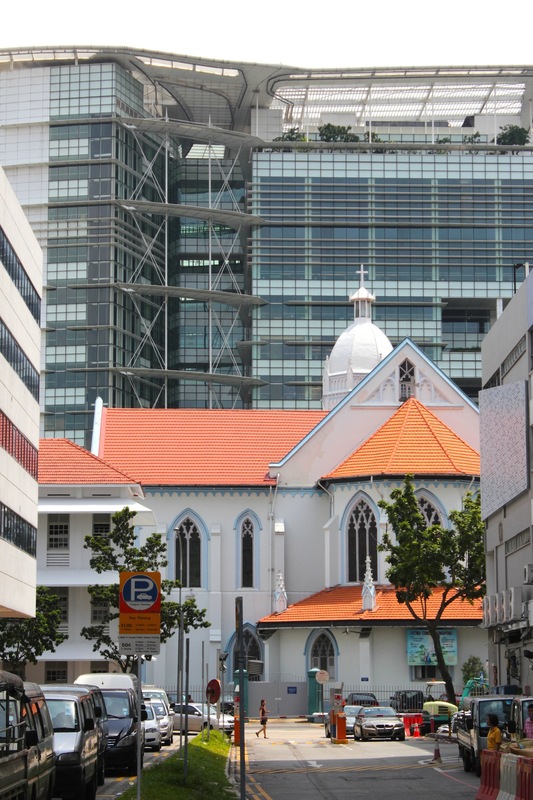 In particular, pay attention to the “streets of harmony” – streets on which multiple places of worship stand side-by-side in harmony – of which there are three: Waterloo and Queen Streets in Bras Basah, and Telok Ayer Street and North Bridge Road in Chinatown. 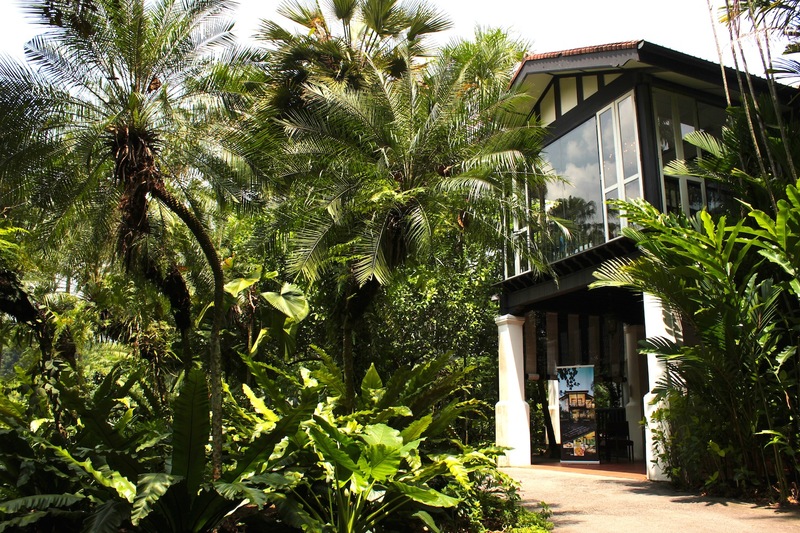 ✑ The Singapore Botanic Gardens, to catch glimpses of the colonial. The park is one of the oldest in the region, and hasn’t changed much since the British left. It was inscribed as a UNESCO World Heritage Site in 2015. ✑ A stroll down Orchard Road, once a landscape of orchards and colonial villas, but today the region’s most upscale shopping street. Take a short detour up Emerald Hill for the beautiful Peranakan Chinese mansions. ✑ Have a Singapore Sling at the Long Bar of the Raffles Hotel. The atmosphere is raucous, cosmopolitan and touristy; very much the Grand Tour at its very essence. Singapore is the best place in the region to get an authentic taste of the colonial life; to experience the splendour of a world lost everywhere else in the world but here. 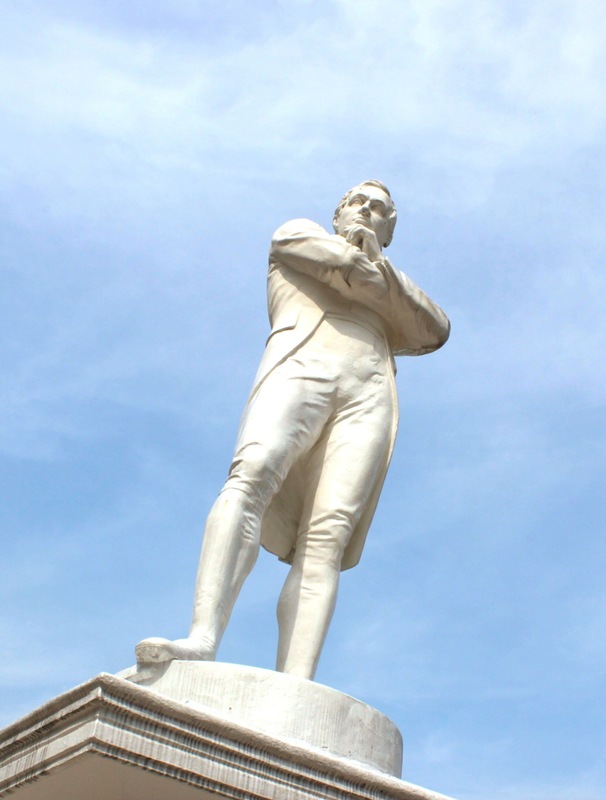 Statue of Sir Thomas Stamford Raffles, at his purported landing site, along the Singapore River. Boat Quay, along the Singapore River, today. Note the row of colonial-era godowns. 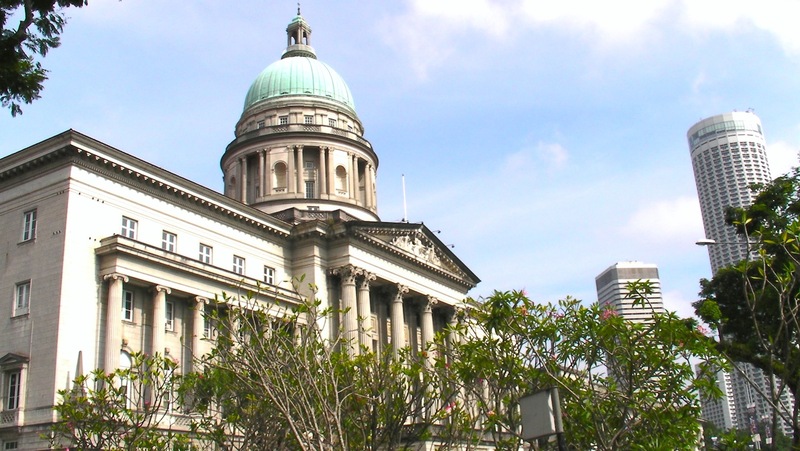 The Former Supreme Court Building in the Civic District is today’s National Art Gallery. 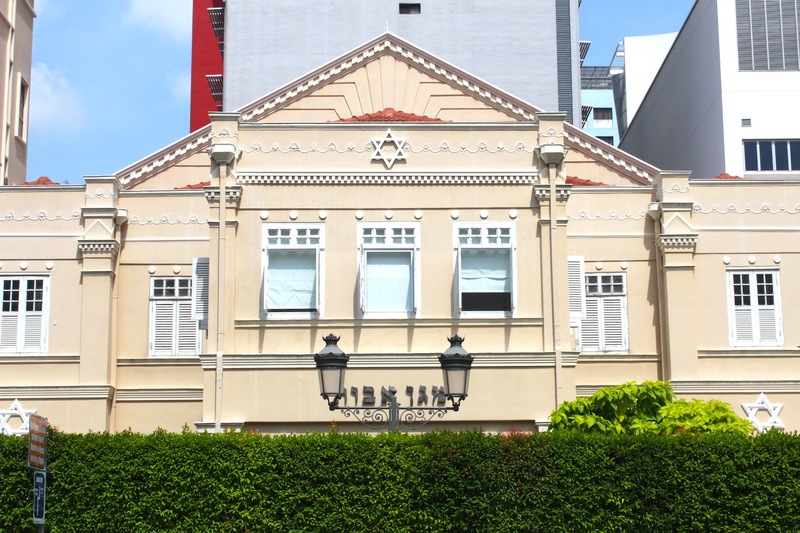 Maghain Aboth Synagogue on Waterloo Street is Singapore’s oldest synagogue. Colonial Contemporary – St John’s Church on Queen Street juxtaposed against the National Library. 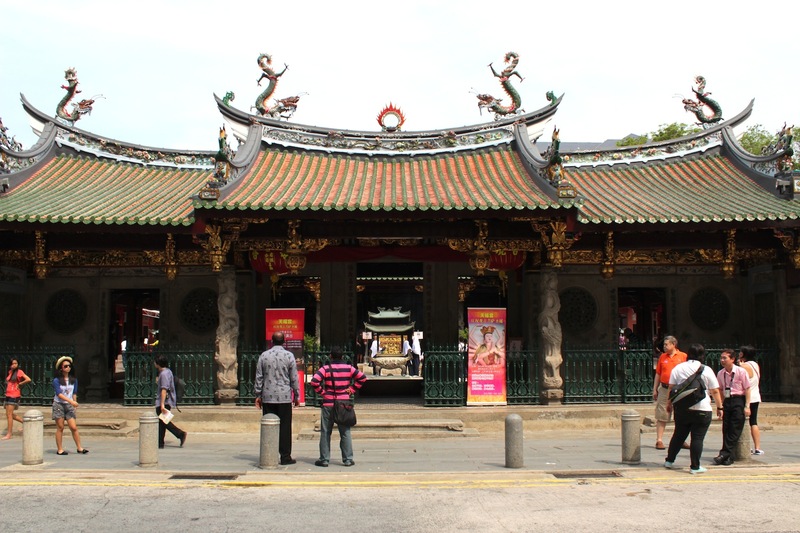 Thian Hock Keng Temple, Telok Ayer Street, is Singapore’s oldest Chinese Temple. 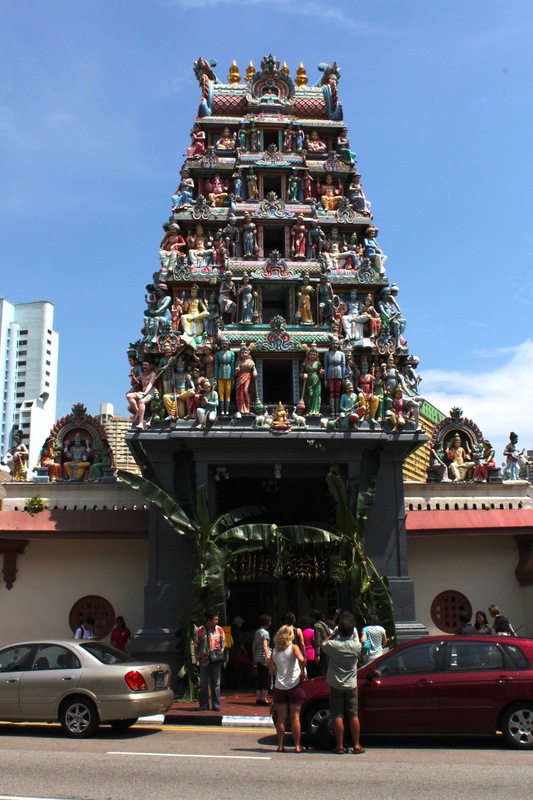 Sri Mariamman (Hindu) Temple on North Bridge Road. Sultan Mosque, in the Royal Compound of Kampong Gelam. 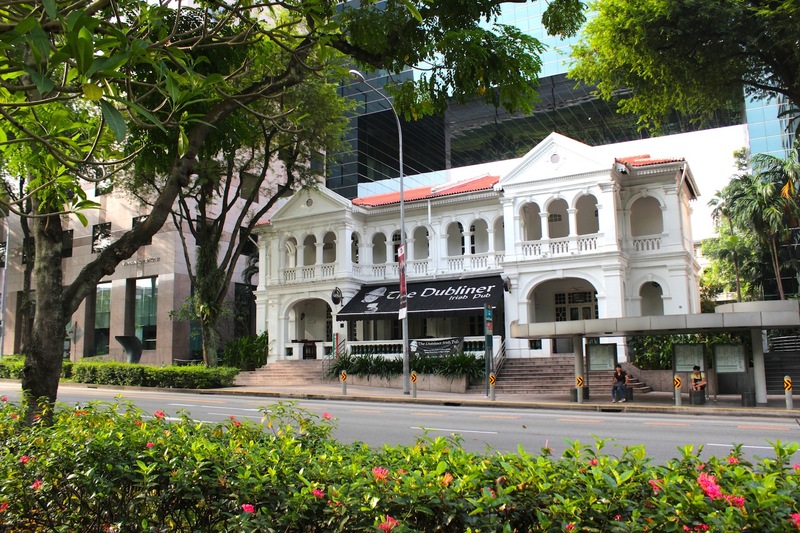 Colonial Contemporary – the last surviving Sino-Portuguese Mansion on Orchard Road proper. Colonial black and white at the Singapore Botanic Gardens – a UNESCO World Heritage Site. 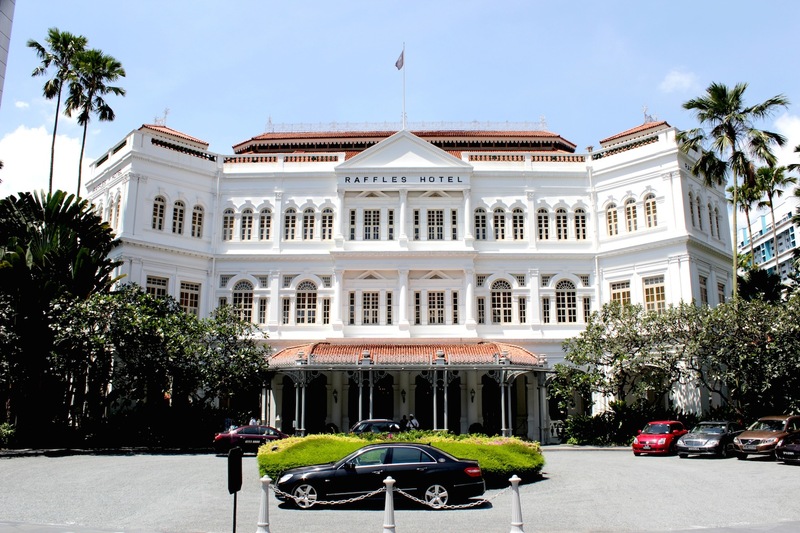 And finally… the grande dame herself: Raffles Hotel. 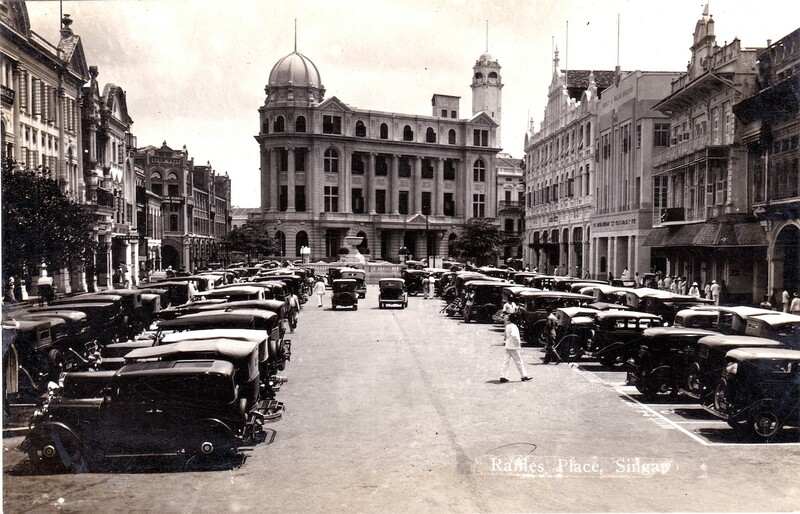 Singapore: Raffles Place in the 1930s. 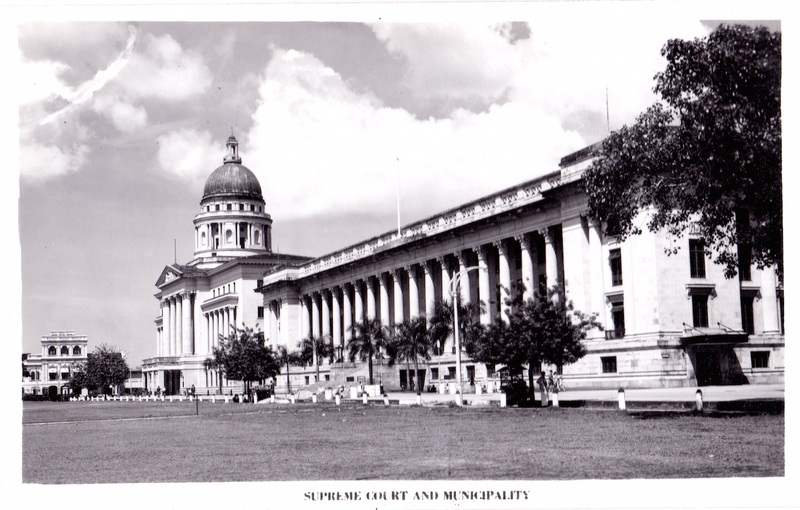 In the spirit of national mourning for the late Mr Lee Kuan Yew, the founding father of Singapore, I kick off this blog with a post on the city Mr Lee built, which also happens to be my city. The photos present Raffles Place in the 1930s and today – and they demonstrate starkly and eloquently Mr Lee Kuan Yew’s legacy, as well as the phenomenal growth of Singapore from a colonial entrepot to today’s global trade and financial hub. 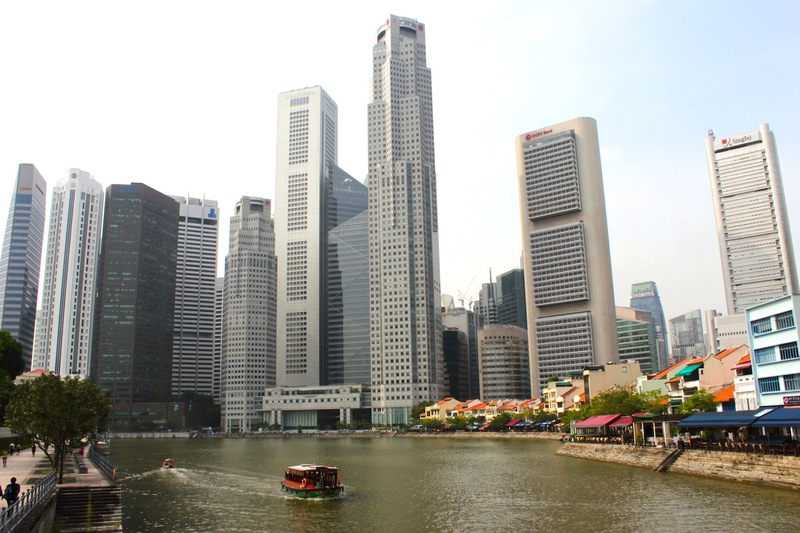 Raffles Place is the commercial heart of Singapore. 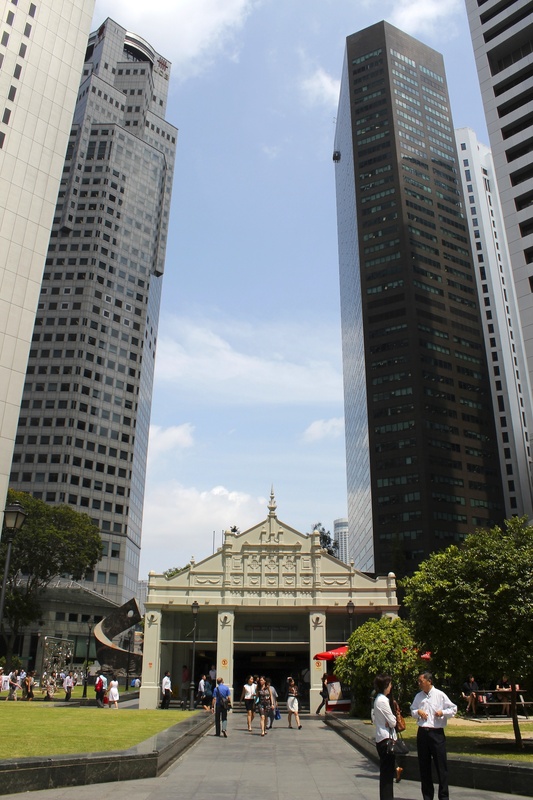 Known as Commercial Square in the 1820s, it was renamed in 1858 after the (British colonial) founder of Singapore, Sir Thomas Stamford Raffles; and it has held that name every since. Throughout much of the 1900s, it was the centre of the major trading and banking corporations in the world, including the Standard Chartered Bank and the Hong Kong and Banking Corporation. It was also the centre of retail, housing the premises of premiere departmental stores, Robinsons & Co. and John Little & Co., both of which still operate today. The photo on top shows the Chartered Bank of India, Australia and China building (the forerunner to Standard Chartered), with its distinctive dome and Neo-Classical architecture, at centre. Immediately to the right is the John Little & Co. departmental store building, erected in an Ibero-Moorish style. The photo below captures almost the exact same view, with the Standard Chartered Bank building standing exactly where it used to stand, but replaced by a towering, brown skyscraper. At centre is the entrance to the Raffles Place MRT Station – MRT being Singapore’s underground public rail system – built to recall the facade of John Little & Co. 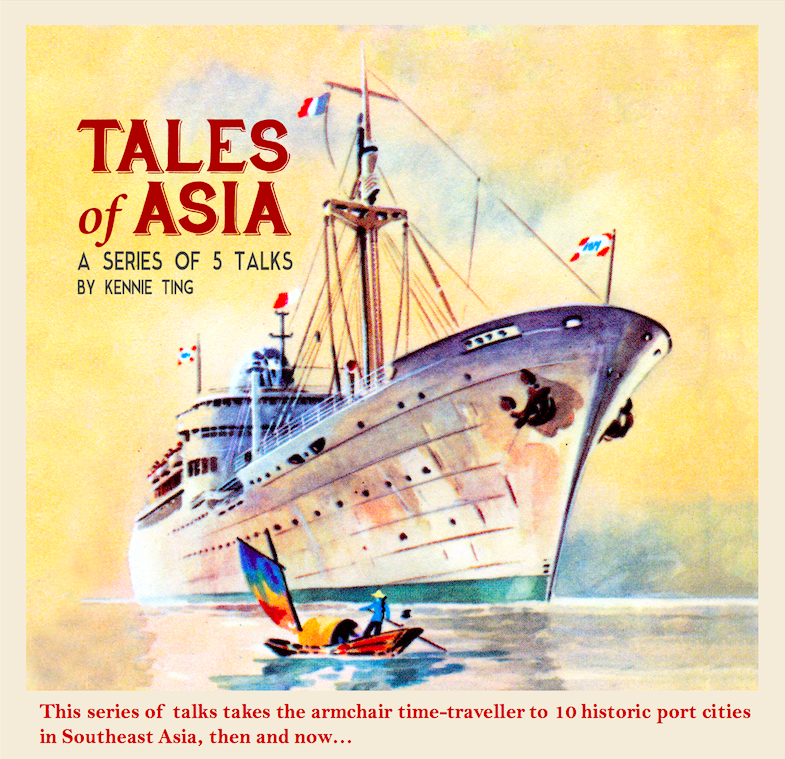 The Romance of the Grand Tour – 100 Years of Travel in Southeast Asia will be available after April 15, 2015 at all major bookstores and featured hotels in Southeast Asia and Hong Kong, major museums in Singapore and on http://www.amazon.co.uk.